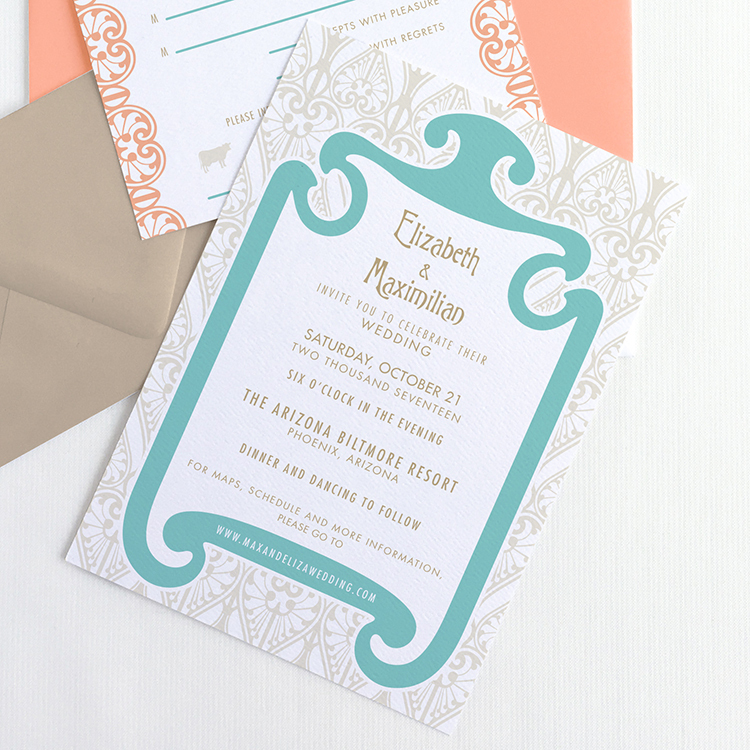 Art Nouveau curves are sensual and elegant, adding a feminine touch to your Art Nouveau Wedding Invitation Suite. With a pattern inspired by French Art Nouveau jewelry, this motif is more modern than traditional and is the perfect complement to your special venue. Paired with both a simplified sans serif and a more decorative typeface (font), this Art Nouveau-inspired Wedding Invitation is perfect for the romantic couple dreaming of a modern fairytale wedding!